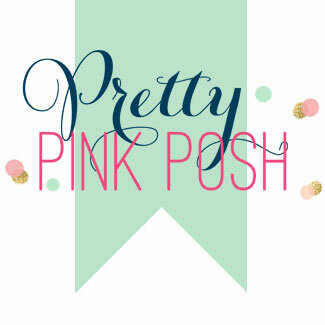 Thank you for visiting today for Mama Elephant’s January release Designer Blog Hop! The first release of the year from Mama Elephant definitely started things right! So much cuteness, you guys. I can’t wait to show you everything that I made! But let’s start with this card featuring Mama Elephant Flying Friends stamp set paired with the Cloudy Day Cover Creative Cuts cover plate die. I stamped all my images out and colored with Copic markers. I then die cut with coordinating dies and set my images aside for later. Next, I die cut the Cloudy Day Cover Creative Cuts out of Bristol Smooth paper. I did a little masking to ink blend each of my clouds in different Distress Ink colors to coordinate the way I colored my balloons: Wilted Violet, Picked Raspberry, Abandoned Coral and Dried Marigold. This new die has a very unique look where there’s a thin cut out behind the cuts where you can tuck things behind the clouds. I decided to back it with some gold glitter paper and this might have been my best decision in 2019 so far. Haha. It looks amazing in person. I wish I was a better photographer so I can show you how beautiful this is! Before I put the card together, I remembered to stamp my sentiment which is always a small victory each time I make a card! I stamped the sentiment with Versamark and embossed with gold embossing powder to match the gold glitter paper. Lastly, I adhered all the images onto my card based with a tape runner keeping this card relatively flat since I already had plans to mail it to a special friend. I thought the card still could use a little something, so I added the star confetti and my card is complete! I hope you like my card and that you have a good time checking out all the new goodies and the beautiful inspiration from the talented design team! Don’t forget to leave a comment for a chance to win the prizes below! Could this be any cuter!? I love your coloring and design!!! Wow….this is one amazing card! I love the thin gold edging on those beautiful clouds, what a wonderful card. I really like the gold glitter paper peaking through the edges of the clouds. It’s a really fun and pretty card. What a unique die from Mama Elephant. Such a cute card! Thanks for the inspiration. I love that thin strip of gold in the cloud cover die.. Beautiful card.. wow. I love your elephants playing in the clouds. What a cute card! Great card layout (love the gold edge)! Cloudy Day would be a great die addition for anyone! Cute elephants! Sweet, sweet card. I really like the cloud die and I love the glitter behind the clouds. That caught my eye first thing. I agree with you, the gold accent around the clouds brings your already cute card up another level! ADORABLE!! Love your blended clouds, sweet elephants and mice and your coloring. The gold glitter really makes the card POP!! Fabulous!! 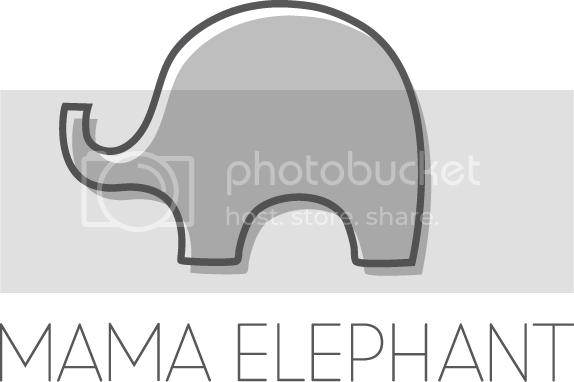 Like/share Mama Elephant on Facebook! So cute! These elephants are adorable. Such a sweet card! Love the cute elephants. This is so sweet, I love your colouring and the fantastic idea to have the background done with glitter! So cute with these adorable elephants, mice and balloons. Love the cloud background too. Such a sweet card! I love the soft coloring and the gold edges. So dang pretty! I love the new goodies! Love the layering of the clouds. Another great card with this pair of stamp and die! Such a cute card! Love how you filled the cloud edges with glitter! What a fun card. I love the soft coloring and the elephants are adorable. Love those clouds. The gold glitter edging the clouds is such a fun, unexpected, and special touch! I really like how you arranged the elephants, too. The card is so adorable, and so are the elephants! Darling! I love the gold-lined clouds and the mouse flying along with the elephants! I love your design for this card. Those elephants are adorable but the thing that really caught my eye were the gold edged clouds. I love the elephants on your sweet card! These elephants are so sweet! Love the gold glitter! Super sweet card!! Those soft colours are so divine! Love the suble color combo! Absolutely adorable inspiration! Love the touch of glitter on your clouds! Love the addition of the little mouse! So adorable! I Liked ME on FB. I love these little ellies. I envision them being part of a baby card they’re so sweet. Love how you used the gold glitter paper to make the clouds sparkle! Thanks for sharing your design! How adorable! Wonderful coloring and design! 1. Awww!!! Your card is so stinkin’ cute!! !Love the beautiful layout!!! Heavenly clouds and elephants- I have not thought to emboss clouds in gold! Thanks! The elephants are making me smile! Makes me happy to look at! Love the glitter paper behind the cloud cuts-such a sweet card! Fabulous card! I love those elephants. The gold glitter paper behind the clouds is a fantastic touch! Such a sweet card! I love the critters and the soft colors! The gold lining in the cloud die is AMAZING!!! Fabulous idea and fabulous card! Aww! What a cute card! Love those adorable elephants! Gotta get this stamp set! Thank you for the inspiration! Such a sweet card! The elephants are so cute and playful. The gold glitter paper and the star confetti really finish your card of nicely! Now this is a card that sparks JOY! Lovely! Sweet card! I love the soft colors you used! Adorable elephants and mice! Fabulous cloud die… gotta have it! 3. Following Mama Elephant on Twitter and retweetted as @raggiodiluce82 (Arianna Barbara). What a beautiful card! The dimension on the balloons is amazing and the gold is lovely! This card is so sweet. Just brings a smile to your face! Thanks for sharing! Oh, so cute!!! Love that you’ve used a bunch of these cuties to create a very sweet little scene. Love the gold behind the clouds. Great card! Adorable.. I love the gold edge to the clouds. The images are so cute. Love you card. This is such a cute card! I love the sparkly gold lining on those clouds! So cute, but the gold edged clouds…AWESOME! 1. Awww!!! What a sweet card! Love the layout and your beautiful colouring!!! Love this sweet card Thi Lam! Thanks for the inspiration!